Google's plan to digitize the world's out-of-print books has hit another snag in the form of the US Justice Department. The department has filed an opinion at the federal court in New York which notes that the latest settlement agreement proposed by Google "suffers from the same core problem as the original agreement." The original agreement was, unsurprisingly, also rejected by the Department of Justice, who discarded it on anti-trust and copyright issues. "It is an attempt to use the class action mechanism to implement forward-looking business arrangements that go far beyond the dispute before the court in this litigation," continued the DoJ's opinion – one which is backed up by the Consumer Watchdog. Where this leaves Google's plans to bring the world's hard-to-find books to the internet is unknown. There is a hearing 18 February to discuss the matter further. In a statement, Google said about the DoJ's findings: "We look forward to Judge Chin's review of the statement of interest from the Department and the comments from the many supporters who have filed submissions with the court in the last months. 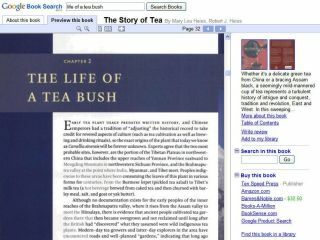 "If approved by the court, the settlement will significantly expand online access to works through Google Books, while giving authors and publishers new ways to distribute their works." And if it doesn't, then expect this matter to go through the courts all over again.